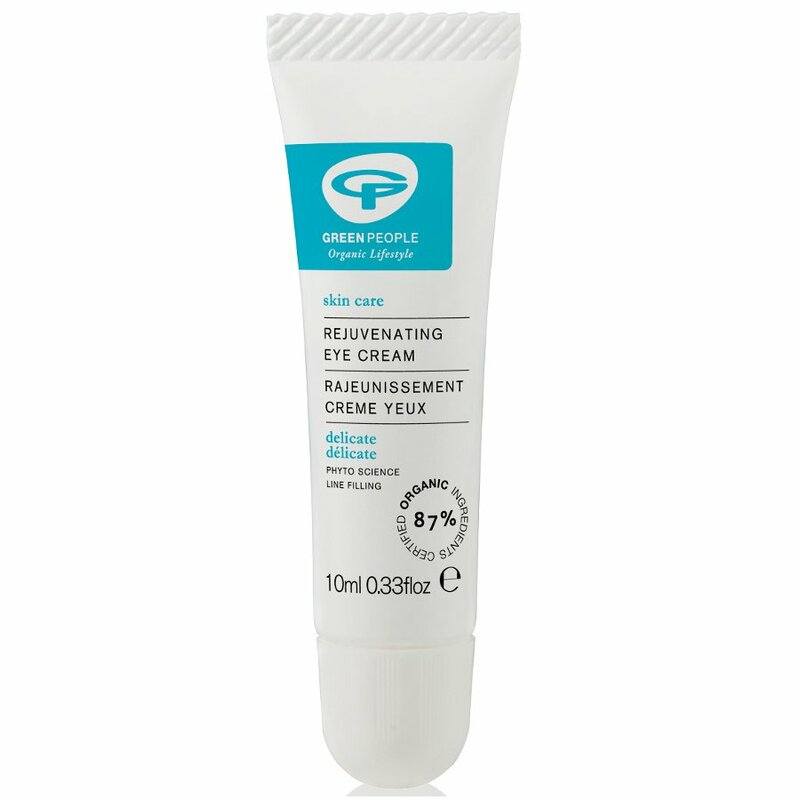 Keep tired eyes looking rejuvenated with this organic anti-ageing eye cream from Green People. This nourishing night eye cream is rich in essential fatty acids, vitamins, minerals and antioxidants to leave skin moisturised, soothed and rejuvenated. Ideal for dry, delicate and sensitive skin. Contains Avocade, Seaweed, Everlasting Flower, Baicalin & Organic Evening Primrose. Free from Parabens, Lanolin, alcohol (ethyl alcohol, ethanol), artificial perfumes, petrochemicals, phthalates and colourants. 100% certified product, 87% certified organic ingredients, contains fairly traded ingredients. There are currently no questions to display about Green People Rejuvenating Eye Cream 10ml.